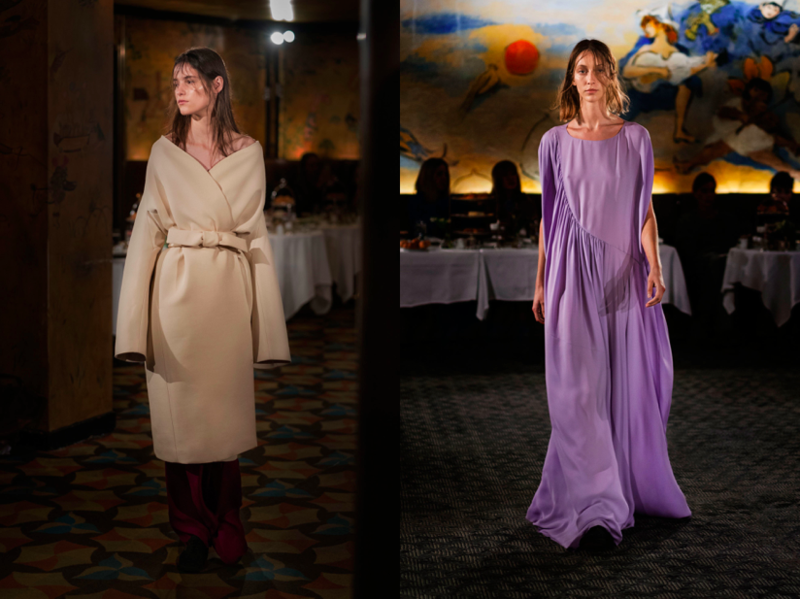 “We wanted something softer, more romantic,” Ashley and Mary-Kate Olsen said afterwards their spring-summer 2018 show-slash-breakfast presentation, which took place at the very chic Carlyle Hotel on Manhattan’s Upper East Side. “With everything so harsh, we wanted to take it down, show lightness.” Lightness is definitely a word that comes to your mind when you look through The Row‘s new offering. 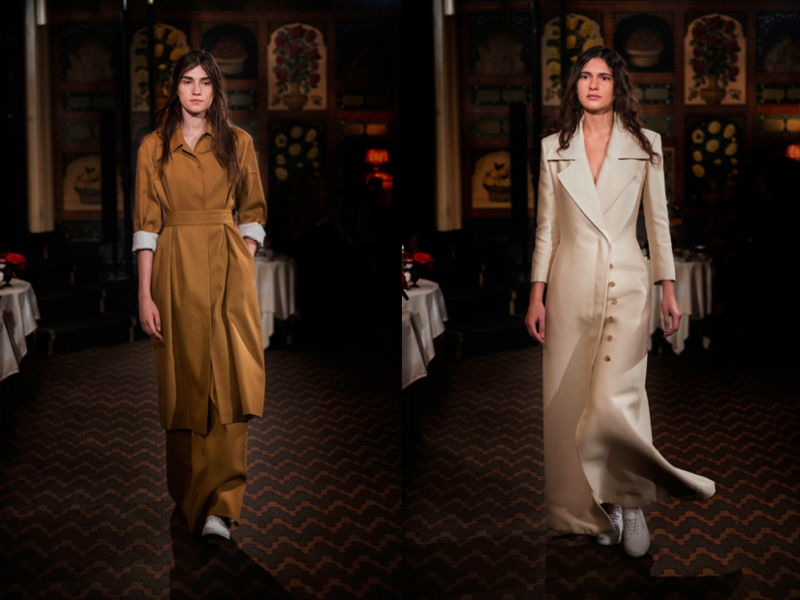 Floor-sweeping tunics in the fleeciest cashmere possible; couture-level outfits in a fabric made from, yes, paper. The flowing coats the duo sent down the runway also needed a special mention. 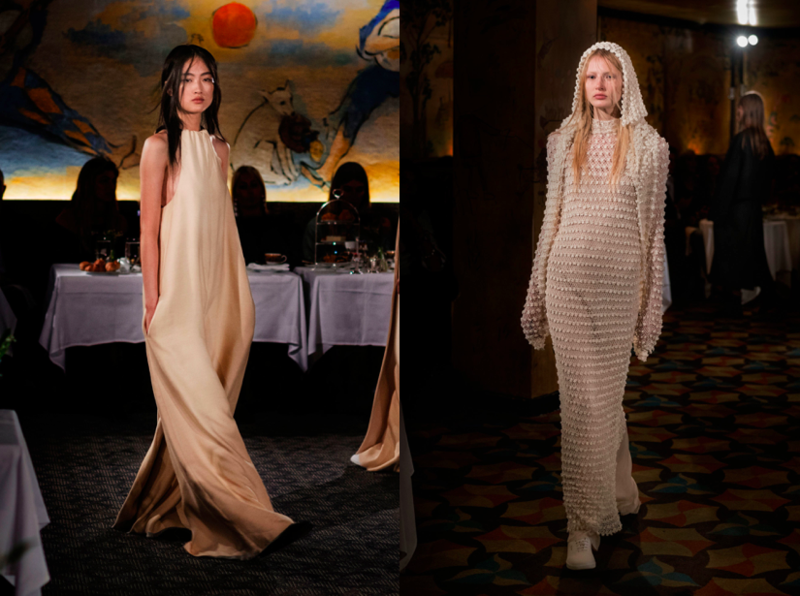 Even though the collection was said to be all about softness, there was something very Medieval about it, like the lengthy frocks (in lilac of all colours) or knitted hoods that resembled a knight’s chain-mail gear. Nobody expected that from The Row, and its pleasing to see that the Olsen twins venture into new territories at their brand. This entry was posted in New York, Trend Reports and tagged Ashley Olsen, Mary Kate, nyfw, Spring 2018, the row. Bookmark the permalink.